Following the results of the "Greatest Pre-1980's Movie Villains" and "Greatest Post-1980's Movie Villains" polls, we have two winners who have proven their immense popularity not only in these but also in previous 'villain' related polls. 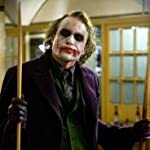 And now, to the ultimate confrontation, who do you consider to be the "Greatest Movie Villain of All Time" - Darth Vader or The Joker? 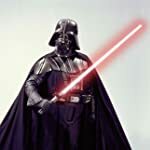 Darth Vader: Winner of "Greatest Pre-1980's Movie Villains" Poll. The Joker: Winner of "Greatest Post-1980's Movie Villains" Poll.